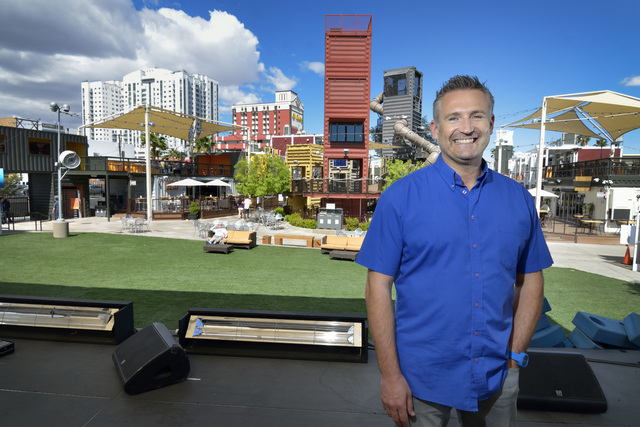 The Cinderella story of downtown Las Vegas’ revitalization now has a Prince Charming, Mark Rowland. Rowland, who was recently named CEO of DTP Ventures, aims to help make dreams come true for the Downtown Project’s 165 companies. 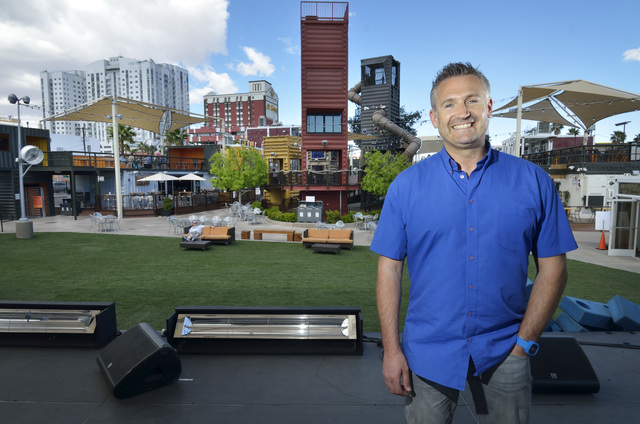 He’ll do this by adding structure to the project via DTP Ventures, a new entity providing support, mentoring and consulting to the Downtown Project’s owned and operated businesses, VegasTechFund and the Downtown Project Small Business team. As the Downtown Project enters its fourth year, Rowland acknowledges that some of its companies are making a profit and some are not. Rebranding downtown as a cool, safe place for people to walk around and chill out may be Rowland’s toughest challenge given our blistering summers and still-boarded-up storefronts. He needs to find a way to attract visitors and inspire struggling business owners. No small feat, but Rowland seems up for the challenge. The 44-year-old defines himself as a community actualizer and cheerleader. Rowland, a married father of two, was born in Manchester, England, and earned a degree as a chartered accountant before moving to Australia at age 22. His traditional business résumé begins with almost 10 years at PricewaterhouseCoopers working as in different accounting roles. 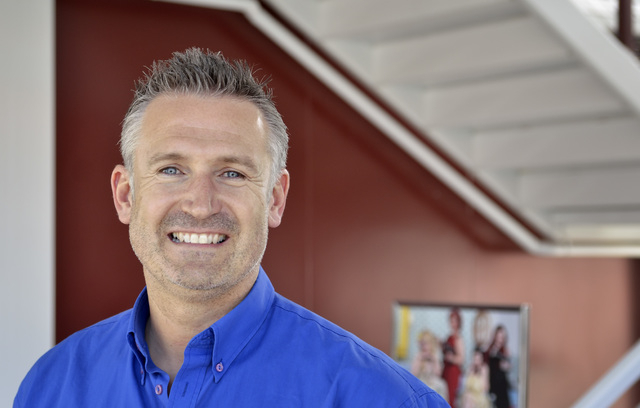 In 2002, he shifted to Australia’s largest retail company, Coles Meyer, and served as general manager of business development for four years. Rowland landed the position of Chief Executive Noodle (CEO) for Australia with the international Asian noodle-inspired restaurant chain Wagamama in 2006. Becoming a CEO was one of those “be careful what you ask for” moments. He realized that there was no one above him to turn to for advice. Rowland hired a coach, fellow Australian, Michelle Duval, to help him communicate and motivate his team. After almost a year, he told Duval, “What you did for me was truly incredible — I want to be able to do this for others.” She suggested he take a neurolinguistic programming course. 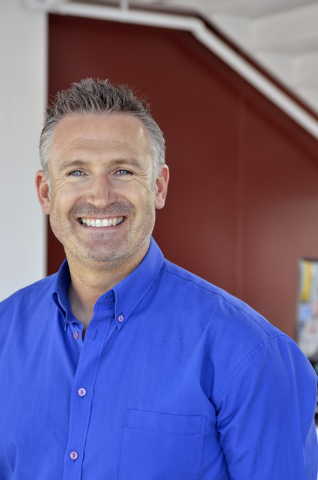 Armed with his newfound coaching skills and four years of CEO experience, Rowland leapt into entrepreneurialism in 2010. He knew he wanted to start something in online retail, but was unsure where to start. As he surfed the Internet looking for ideas, he happened upon Zappos. Rowland’s conscience kicked in when he realized he was planning to appropriate Hsieh’s business, culture and values and relocate it in Australia. He emailed Hsieh and confessed his endeavor. Instead of a cease-and-desist reply, the two became mutual admirers. Rowland, along with three friends, founded online retailer Styletread, a Zappos clone. In less than three years, the company grew to $20 million in revenues. The company was eventually sold to a German retailer against his wishes and Rowland found himself at loose ends. Rowland turned to his friend and kindred spirit Hsieh for advice. In 2013, Hsieh invited Rowland to Las Vegas to check out the Downtown Project. Rowland was excited to see Hsieh’s vision in action and volunteered his coaching services to the Downtown Project for more than a year. Enamored with the project, Rowland decided to become an entrepreneur again. He founded ROCeteer, a consulting and coaching firm. Here’s where the crossover services get a little confusing and Rowland ends up wearing two leadership hats. The Downtown Container Park is a Hsieh-owned entity but contains independently owned businesses. Because Hsieh is a ROCeteer client, consulting services are provided to all Container Park tenants free of charge. DTP Ventures provides similar services to the Hsieh “ecosystem” whether Hsieh is an investor or not. ROCeteer pursues outside clients besides Hsieh. ROCeteer’s consulting services are best explained by independent business owner Joe Vergara of Chill Spot, a frozen confection shop in the Container Park. He and his sister Liza own SasaSweets, maker of SasaPops, which won the 2012 food and beverage product innovation award by the National Restaurant Association. Vergara describes Rowland as an indispensable resource. When Chill Spot had questions about using social media, Rowland addressed his concerns. Rowland asked: “Who are you trying to reach? Who is your ideal customer?” He brought in a group of fellow business owners to share their social media experiences with Vergera and provided a social media company representative to customize a social media strategy to fit Chill Spot’s needs. “He has a bunch of experience in so many facets of small businesses like mine and when he knows of someone else who has an even deeper knowledge on a particular subject, he always offers an introduction,” said Vergara, who holds a master’s degree in industrial organizational psychology. How is Rowland going to help turn around DTP? Rowland works with 55 people in what he calls the DTP “support office,” not the executive office. 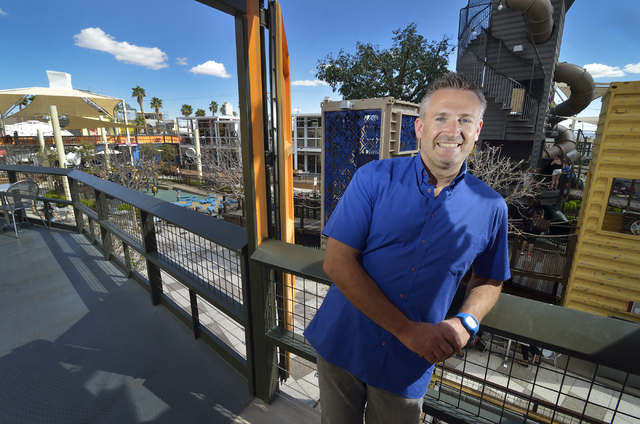 Hans Hippert, owner of Jojo’s Jerky, a business within the Container Park and a recently opened new store in the Grand Bazaar, says Rowland surrounds himself with experts in their fields. Rowland acknowledges that facilitating profitability and sustainability for the Downtown Project businesses will be challenging. Nevertheless, Rowland enthusiastically welcomes his challenge.